When traveling, we open doors to expose ourselves to unusual situations and cultures far different from our own back home. There are few better ways to do this than delving into the local cuisine of a country. From hearty comfort foods and spine-tingling dishes to the downright bizarre, we think that the following seven delicacies should definitely be on your list to try. So get ready for a true sensory overload. 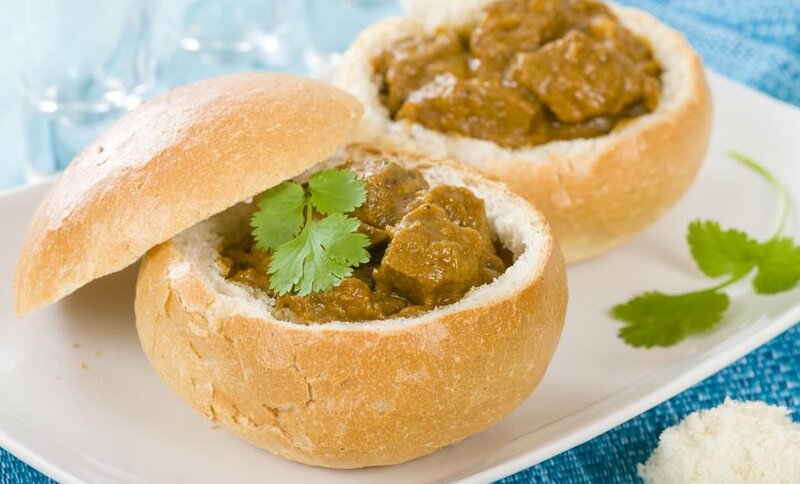 The bunny chow is a variation of a sandwich that has been around since the 1940s. Simply put, it’s a hollowed-out quarter loaf of bread filled with a bean, chicken or lamb curry. There are several theories behind its origin, with one being that it was invented for Indian laborers in Durban during the Apartheid era. Prohibited from entering restaurants, they ordered beans and roti to go but the roti often fell apart. One creative takeaway owner then decided to use loaves of bread to hold the curries. Whether you get yours at a restaurant or takeaway, just remember to eat it by hand. Soup might not be your first choice of summer snack or meal but this cold beetroot option will have you thinking otherwise. Infused with cucumbers, dill and radishes and topped with hard-boiled eggs and yogurt, it’s both refreshing and extremely healthy. 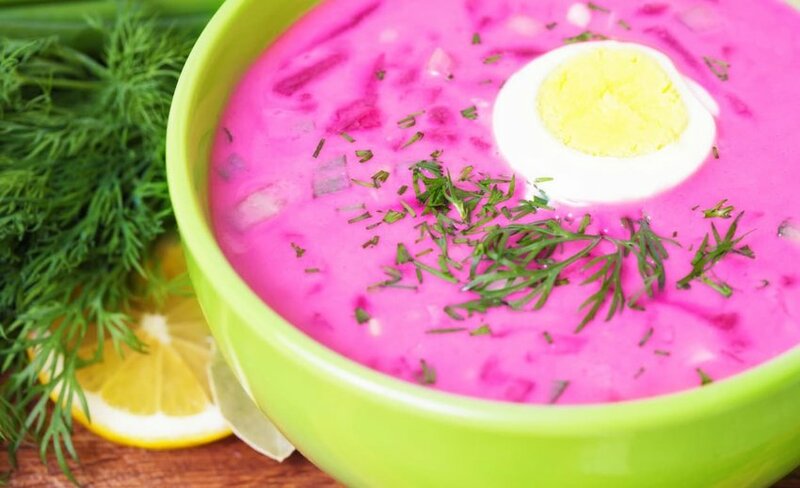 The soup’s bright pink hue also makes it incredibly photogenic for your social media posts. Variations of chlodnik are common across Eastern Europe and the best ones are prepared two days in advance to allow all of the flavors to combine. If you are a little squeamish then this Peruvian national dish may not be for you. Cuy (pronounced kwee) is guinea pig served whole on a plate with its ears, feet, teeth and everything else that you wouldn’t normally consider eating. 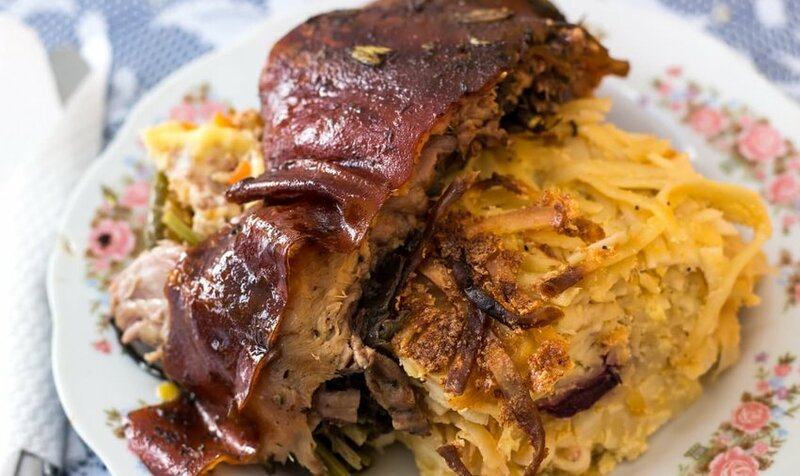 Order cuy al palo (spit-roasted guinea pig) or cuy chactado (deep-fried guinea pig) and eat it using your hands just as inhabitants of the Andes have done for some 5,000 years. The delicacy is so popular in Peru that it has its own public holiday in October. And you’ll also find it when traveling in Bolivia and Ecuador. 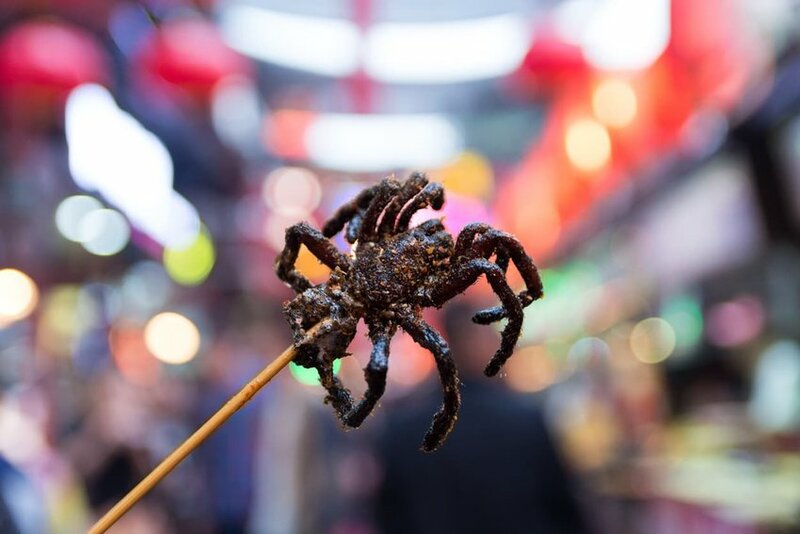 Southeast Asia is famous for its culinary oddities and perhaps none more so than the fried tarantulas sold by market vendors in the town of Skuon. Cambodians discovered their nutritious value during the tumultuous Khmer Rouge rule and today they fascinate tourists while being a mainstay of the local diet. Hundreds of the large deep-fried spiders sit piled high on street food stands. They are crispy to bite and have a gooey texture inside with a taste often compared to chicken. All you need to do is overcome your arachnophobia. Skuon is plagued by tarantulas, so it’s probably better to eat one than have one land on your head. 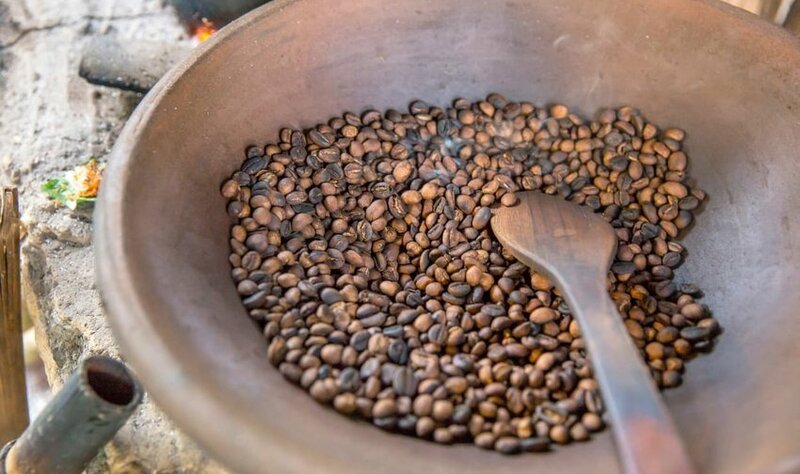 If you need a daily caffeine fix then in Indonesia you can sip on a cup of Joe brewed using one of the world’s most expensive coffee beans. But why so special? It’s all in the way farmers collect the beans. Palm civet cats (or luwaks) feed on coffee berries and pass the seeds whole as droppings, hence the alternative name, "cat poop coffee." Legend states that the cats are fussy felines and will only feast on the best and ripest berries. You’ll have to dig deep to bring some home because a pound of this aromatic bean sells for upwards of US $100. Scandinavians love to eat fish and the semi-translucent and gelatinous lutefisk is a Nordic classic. 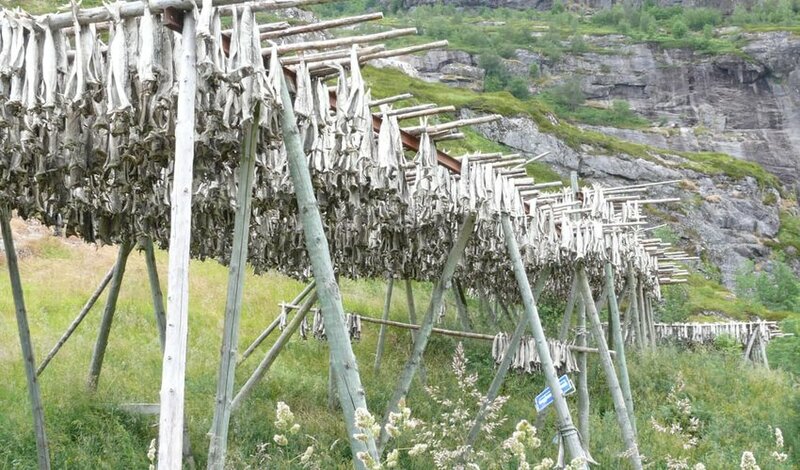 Originating in the Viking era, the secret to its texture is to soak a whitefish in water for 5-6 days, then lye (aka sodium hydroxide) for 2 days and water again for 4-6 days. The fish are then covered in a layer of salt and either steamed or baked. If you ever get invited to a Swedish or Norwegian Christmas then you’ll find it on the vast julbord (Yuletide buffet). Poutine is an appetite-satisfying and hangover-curing favorite as widespread in Canada as good manners and maple syrup. 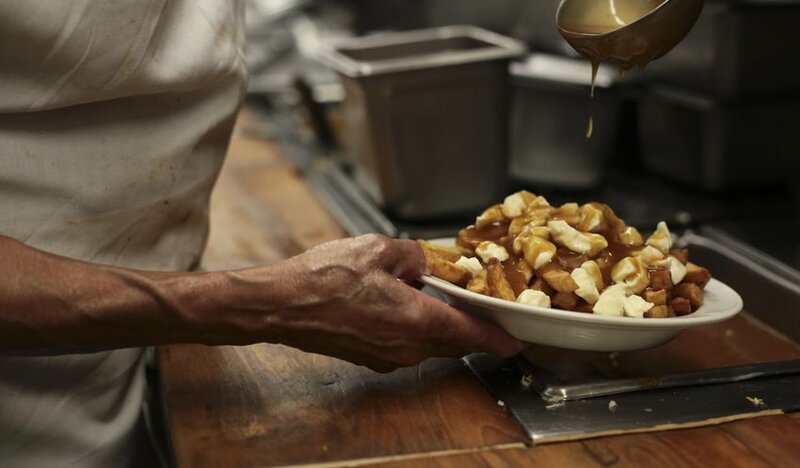 Invented in Quebec in the 1950s, it’s a hearty plate of French fries, cheese curds and brown gravy. You’ll find it on the menu everywhere from diners and pubs to hockey stadiums and street stands. Traditionalists will tell you to stick to the original recipe but it’s hard to not get tempted by variations with toppings such as brisket, foie gras, sausages and even truffles.